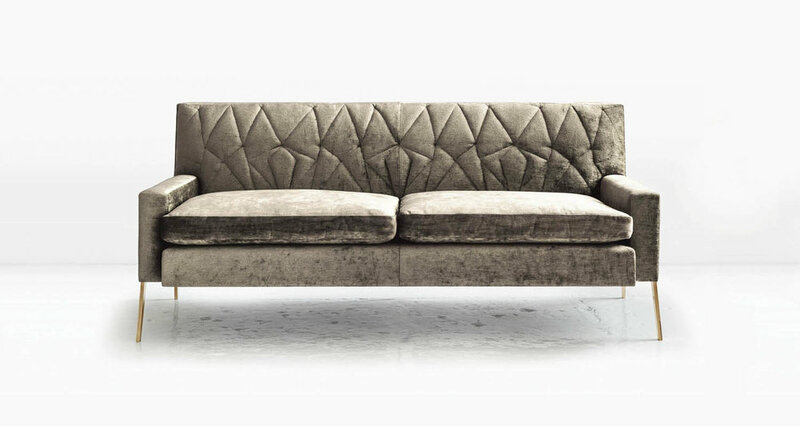 The Mayweather Settee features the same abstracted pattern as its larger companion piece. Down-wrapped seat cushions provide a level of comfort that belies the strong architectural form. Shown with Nickel legs and Linen Velvet fabric. Last image shown with Silicon Bronze legs.